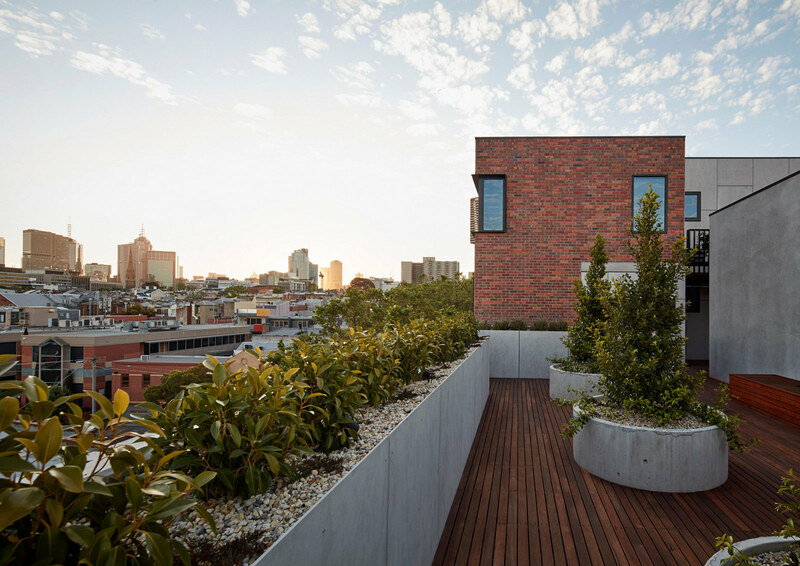 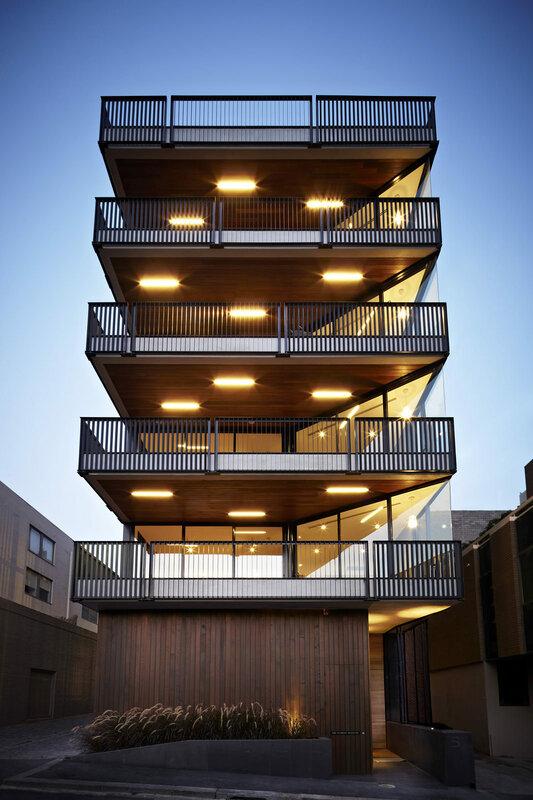 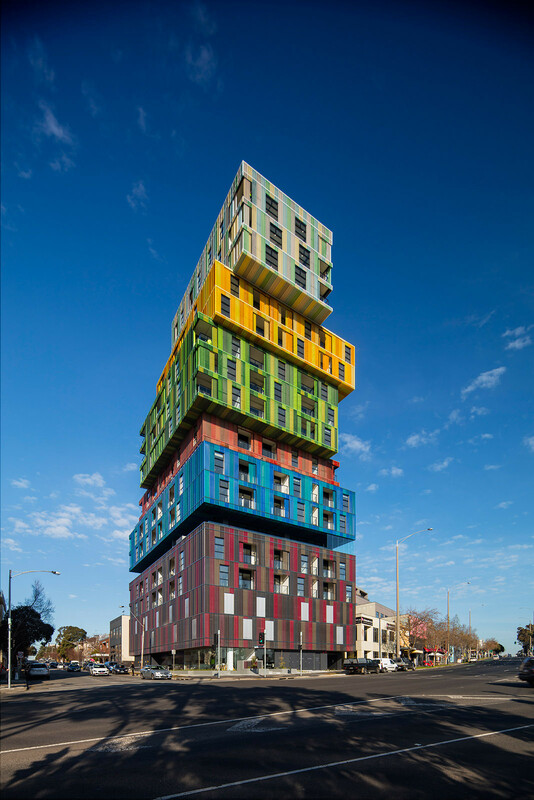 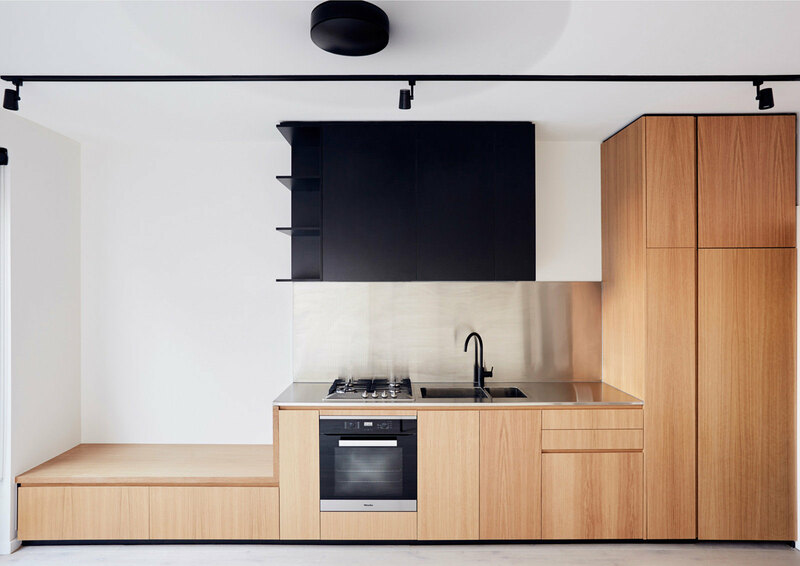 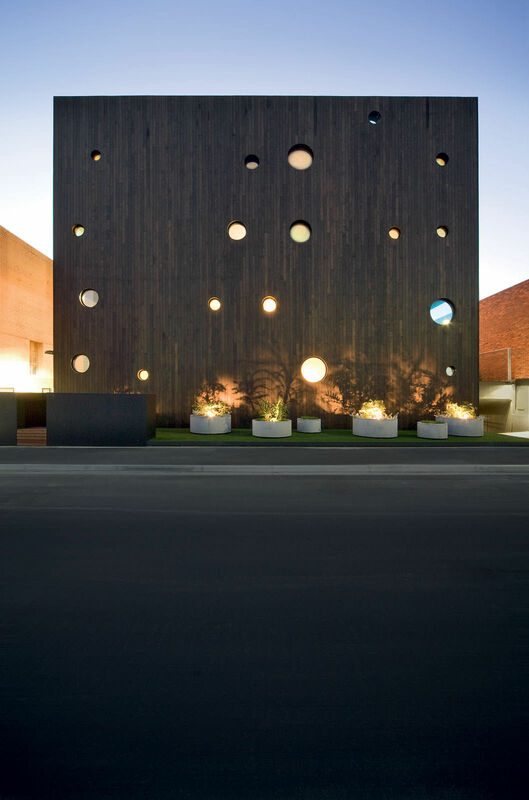 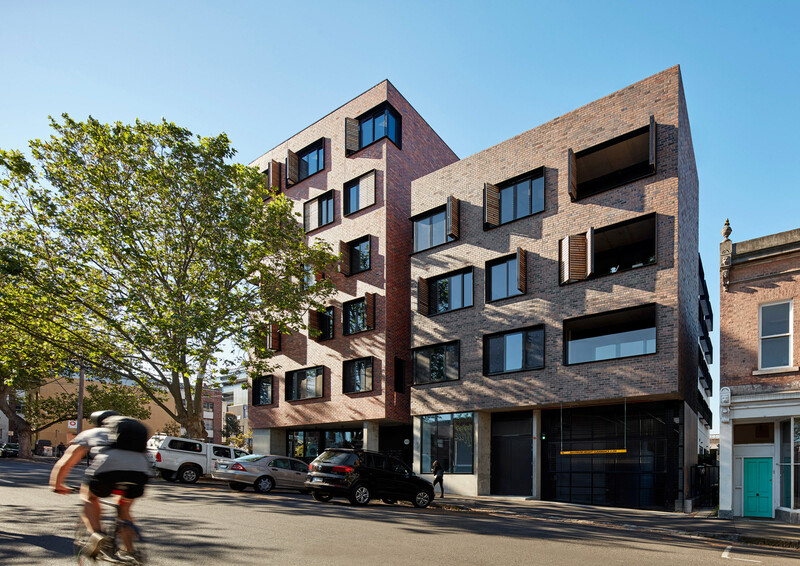 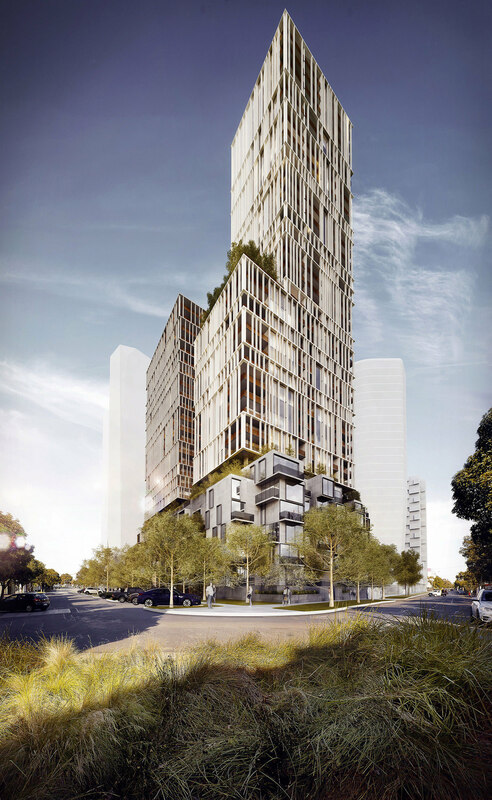 Oxford and Peel is a 4, 5 and 6 level apartment building on a corner site in the culturally diverse residential and commercial precinct of Collingwood. 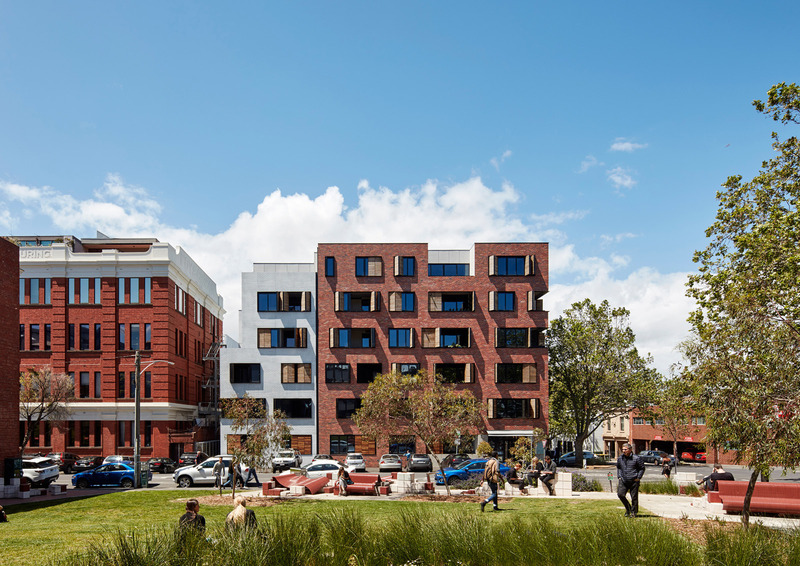 The heritage Foy and Gibson building sits immediately to the north. 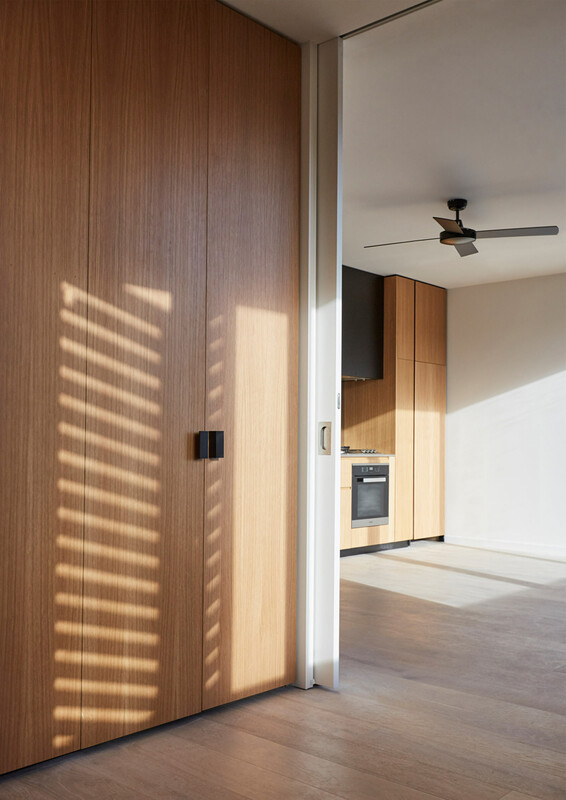 The building consists of 53 one, two and three bedroom apartments, 2 ground floor commercial spaces and a basement carpark. 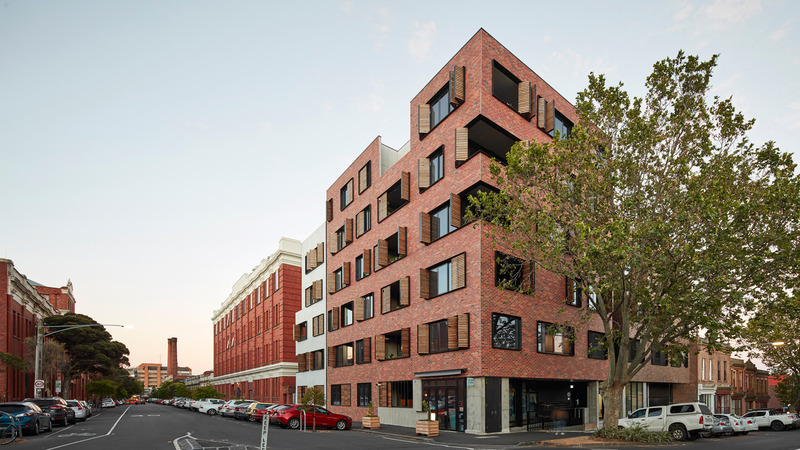 The façade is articulated as a cluster of brick buildings, reducing its bulk and scale and maintaining a considered relationship with the Foy and Gibson building and neighbouring terraces along Peel St. 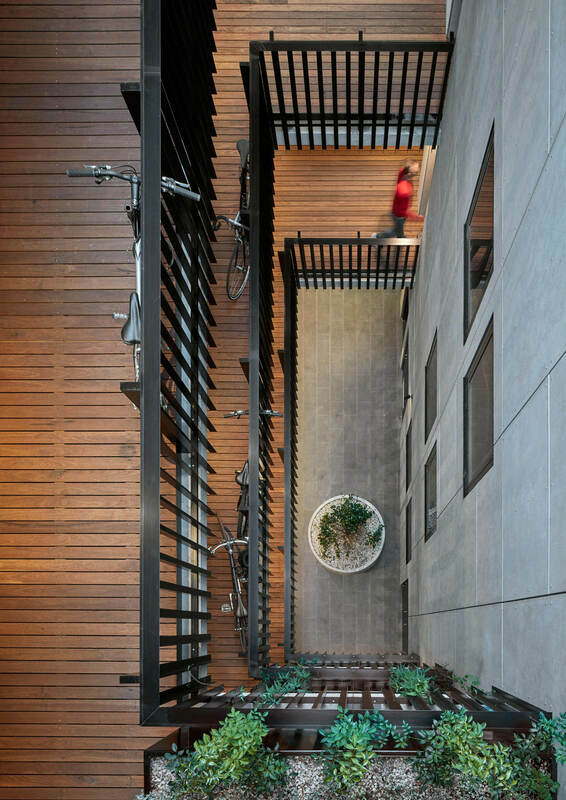 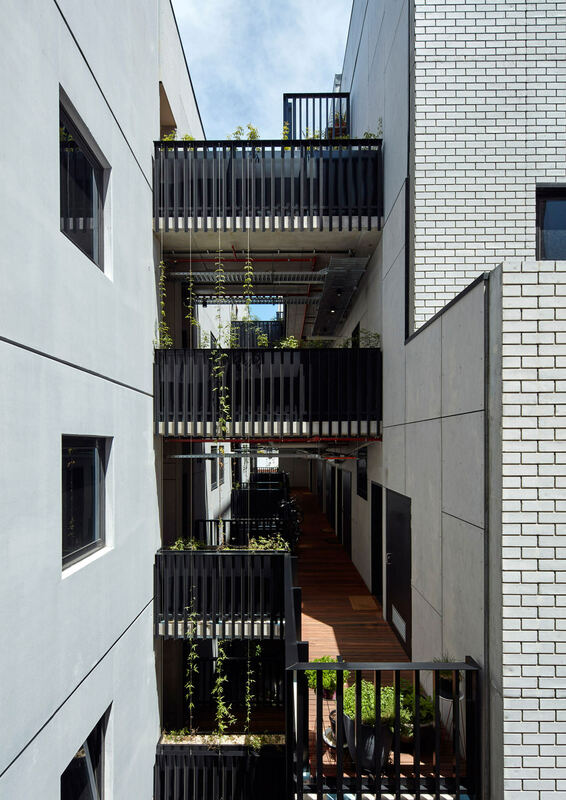 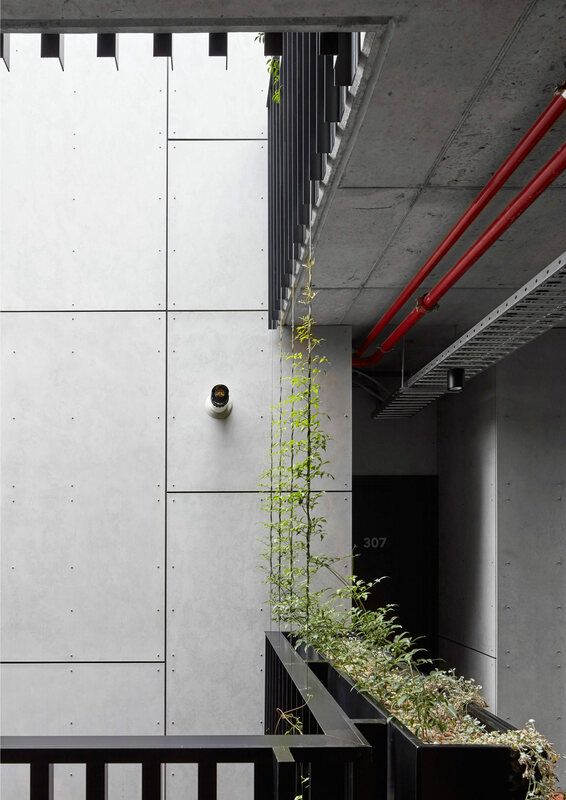 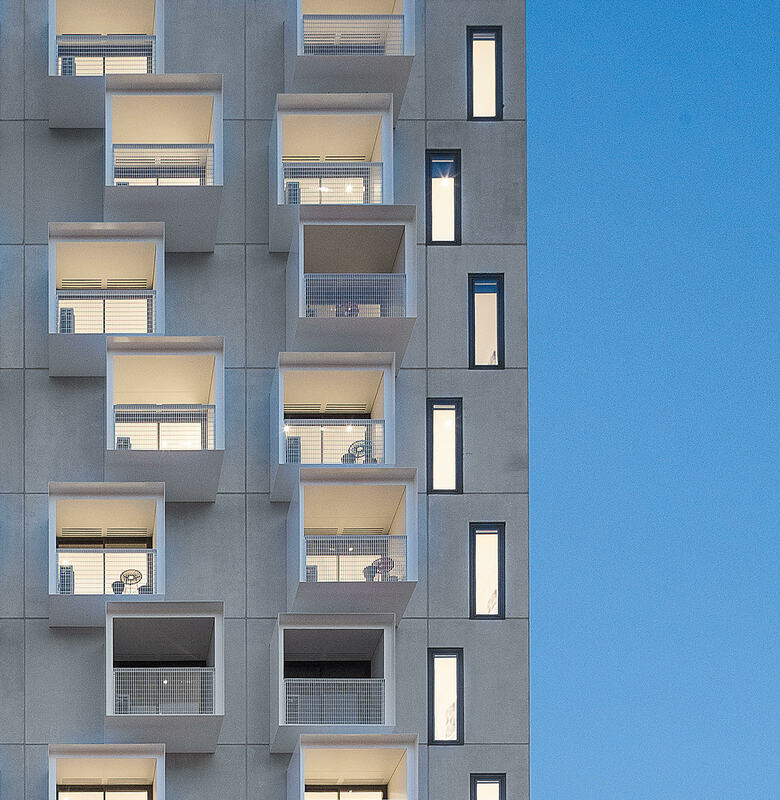 The building is split in two halves by a generous circulation ‘ravine’, which ensures direct natural light to all bedrooms, cross flow ventilation to all apartments and multi-level communal walkways for the building. 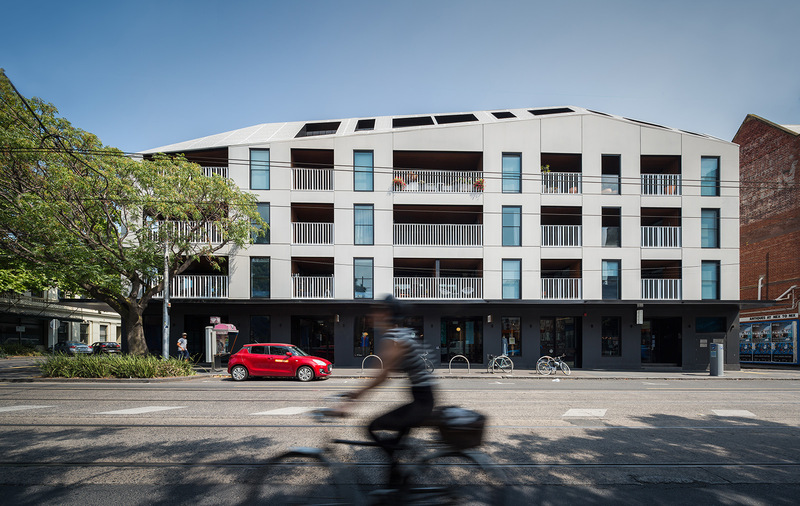 The development achieved a 7 star NatHERS rating.